Furniture Tabs Super Tabs 5" x 10". ALWAYS TAB & BLOCK when cleaning upholstery! 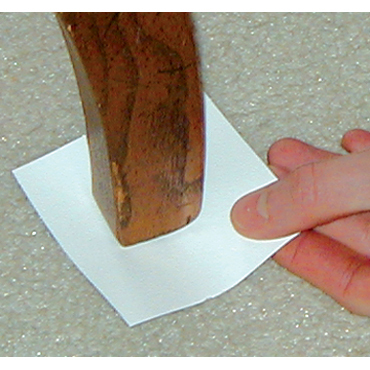 Tabs and blocks prevent bleeding of wood stains and rust from metal objects onto carpet and rug fibers. 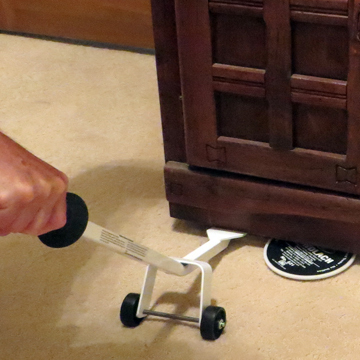 ALWAYS place furniture tabs and foam blocks to prevent wood stains! Don’t end up having to come back to remove YOUR stain on YOUR customer’s carpet! BE A PROFESSIONAL! Extra large (5x10) for larger pieces of furniture like rocking chairs & French table legs. 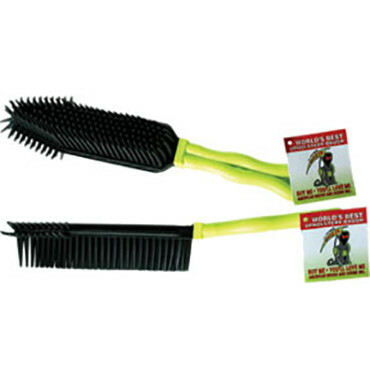 May be torn into specific sizes for special applications. 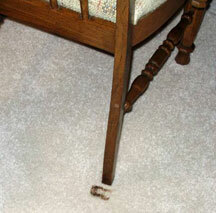 ALWAYS place furniture tabs and foam blocks to prevent wood stains like this after cleaning carpet and upholstery. 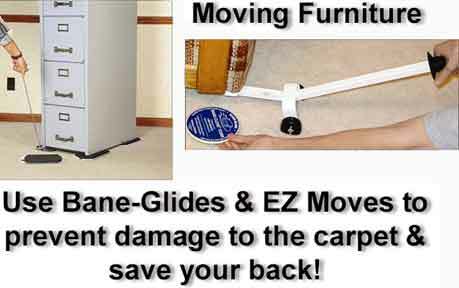 Don’t end up having to come back to remove YOUR stain on YOUR customer’s carpet! BE A PROFESSIONAL! 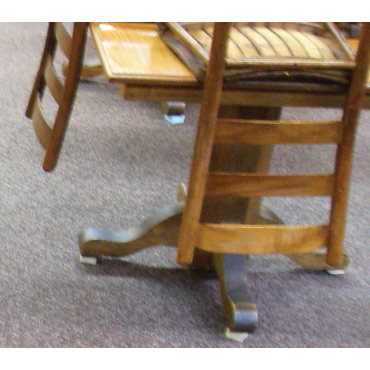 Wet carpet can cause wood stains or rust if furniture is set directly on it. 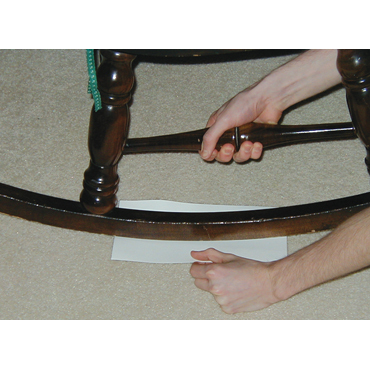 Furniture and other items with legs must be put on furniture protector tabs after cleaning the carpet or rug. 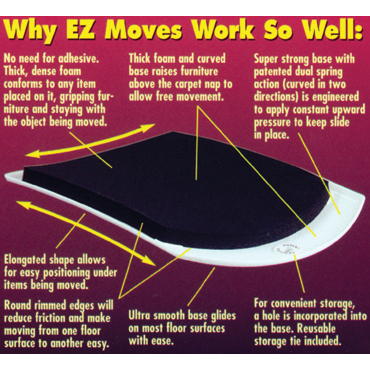 Furniture and other items without legs have to be kept off the carpet with foam blocks to allow the carpet underneath to “breathe” and dry. 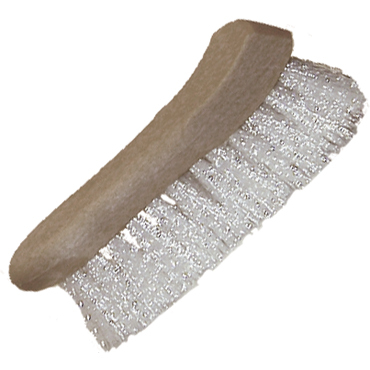 Tabs and blocks prevent bleeding of wood stains and rust from metal objects onto carpet and rug fibers. Advise your customer to wait for the carpet to dry completely before removing furniture off of the furniture tabs or blocks. 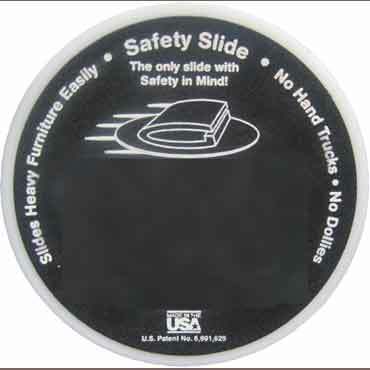 Of course, if your customer is elderly or has physical limitations such as a bad back, volunteer to return to remove the tabs and blocks. 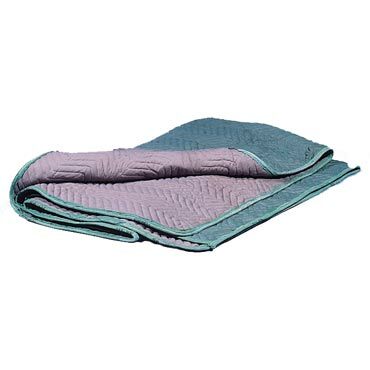 Every carpet cleaning truck should have plenty of furniture tabs, foam blocks, Bane-Glides, Wall Buddy Corner Guards and white turkish spotting towels. Click the “Usage & Tips” tab above for article on how to maintain leather furniture.